We have been privileged to have one of our CRM projects featured as a case study in the CiviCRM July Newsletter. CiviCRM helps organizations grow and sustain strong relationships over time. It is a web-based, open source CRM software geared toward meeting the needs of non-profit and other civic-sector organizations. We were approached by one of the co-founders of CiviCRM (Dave Greenberg) to feature our project as their case study of the month. The article can be found below. For more information on CiviCRM, please visit www.civicrm.org. The newsletter can also be found here. 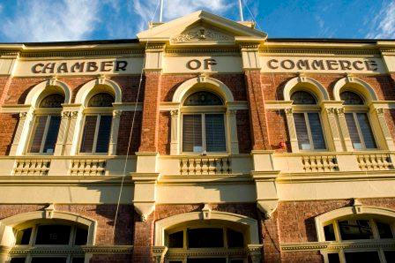 The Fremantle Chamber of Commerce (FCC) champions policies and strategies that improve the business environment in Fremantle (Perth, Western Australia), enhance community prosperity and develop a sustainable mix of business and lifestyle opportunities for Fremantle’s future. They act as an advocate for the business community, a conduit for information and a promoter of Fremantle’s position in the regional landscape. The Chamber currently have over 500 members, ranging from major corporate organizations to small micro-businesses. FCC required a CRM system to manage their members, events and organizational activities more efficiently. The main challenge, as is often the case when moving to a new system, was importing and cleaning the existing data which existed in different locations such as multiple Excel sheets and Outlook. Sankhya Consultants were chosen for the CiviCRM implementation. The project was funded by a grant from the Western Australian government as part of a project to train businesses the benefits of CRMs. The benefits of that for the wider community are that the team at Sankhya had to submit a report on the implementation, so we have that unusual and precious thing – measurable success! One of the most marked improvements from having their new CiviCRM in place was the streamlined efficiency of the event management process. Before Civi, the average time spent on recording each event participant’s attendance, tracking payment, sending reminders, raising invoices etc was around 70 minutes. Since Civi that average time has gone down to 10 minutes. That’s a saving of around 1 hour per contact, per event! Updating memberships: Before Civi, 5 mins to contact each member individually, for 1,500 members that’s 125 hours every membership renewal cycle. Since Civi, with automated reminders for the entire database, it takes something like 10 mins admin time per cycle. That’s 125 hours saved!! Searching for contacts, to find all the contacts that fulfilled a certain criteria (e.g. lived in a certain area): Before Civi this was a manual process of checking through numerous spreadsheets, taking an average of 2 hours. Since being able to search with Civi’s built-in contact search, this takes less than 5 minutes. Time saved – just under 2 hours! See a report of the outcomes 3 months after the CiviCRM implementation. This entry was posted in Customer Relationship Management (CRM) and tagged business, CiviCRM, CiviCRM Perth, CRM Perth, CRM Software Perth Australia, customer relationship management, Western Australia by crmconsultants. Bookmark the permalink.